Everyone knows that dinosaurs were some of the largest animals to every walk the earth. However – did you know that some were just the size of a modern day chicken? Or that some dinosaurs never really left us and still roam the earth today? 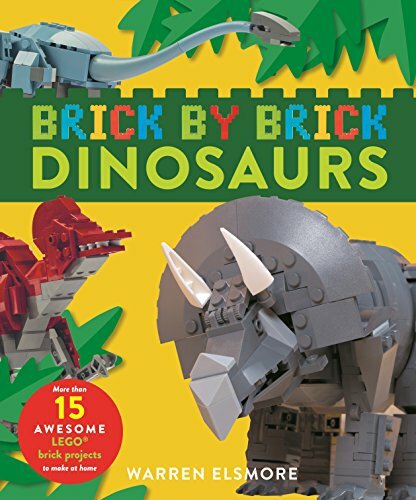 With such variety, where do we even start writing a book on LEGO Dinosaurs? When I started to think about this book a few things became very obvious. Firstly, dinosaurs aren’t an easy thing to build in LEGO bricks. They are of course curved organic shapes which brings some challenges. Secondly, they also are very well balanced. Without muscles and tendons – our LEGO dinosaurs might need careful balancing! Finally, we realised that we’d need some real expert help. How did dinosaurs grow? What size, shape and colour were they? How did they move? Which LEGO pieces would be best to recreate the body parts of an animal that died millions of years ago?